Pathways Real Life Recovery is partnered with a number of top detox centers in Utah, and will help facilitate detox services when you enter our drug alcohol recovery programs. 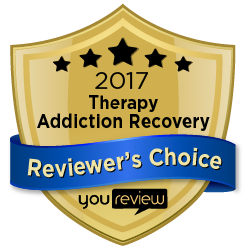 In order to give yourself the very best shot at staying sober, participation in a drug detoxification and rehabilitation program like Pathways is necessary. After you abstain from a drug you have been using for a period of time, your body experiences withdrawal symptoms. These symptoms vary from drug to drug but can include anxiety, irritability, nausea, vomiting, and sleep changes. Withdrawal symptoms can be quite severe. In fact, many people fail in their attempts to quit because they start using drugs again simply to avoid harsh withdrawal symptoms. The purpose of detoxification is to rid your body of toxins put there by chronic drug use and allow the body to re-adapt to functioning without being dependent on drugs. Pathways detox and treatment services are here to successfully guide you through the detoxification process and help you transition into a long-term rehabilitation program. Detox can be very stressful on both the body and mind which is why it is dangerous to stop using a drug without the assistance of qualified professionals. At Pathways, our detoxification service involves working with a detox center to prescribe Suboxone to help ease the cessation of opiate drugs during detox, and Vivitrol to minimize the experience of drug cravings afterwards. Suboxone is a powerful detox tapering drug used to help people who are addicted to opiates (i.e. heroin, morphine, and pain relievers). The drug is a combination of buprenorphine–an opiate used to treat opioid addiction–and naloxone–an opioid antagonist which reverses the effects of narcotic overdose. Suboxone sublingual tablets are ingested by placing them beneath the tongue where they dissolve. Your substance abuse treatment team will oversee the administration of this drug during your detoxification program. The main objective of Suboxone administration is to provide the body similar effects of opioid drugs under the close supervision of trained professionals. If taken long-term, Suboxone can cause dependency. Ideally, the drug is administered for approximately 20 to 25, gradually decreasing the dosage every couple of days. The tapering process slowly allows your body to adapt to not having the drug while also preventing harsh withdrawal symptoms. Vivitrol is administered after completion of a detoxification program in the long-term treatment of opiate addiction and to prevent relapse of opioid drug use. It is also used to treat alcohol abuse. It blocks the usual effects of narcotic drugs and alcohol. Vivitrol is administered by a once-a-month extended-release intramuscular gluteal injection given by an experienced physician or nurse. The drug can also be ingested in the manner of 50 mg oral tablets administered daily. Vivitrol reduces the effects of opioid drugs on the body, therefore, it should not be taken in combination with opioid drugs as it could lead to overdose. Your health care provider will start administering Vivitrol when it is clear that you are not experiencing withdrawals as a result of opioid cessation. Vivitrol should not be administered until approximately 1 to 2 weeks after discontinuing opioid-containing medications like Suboxone. Vivitrol does not cause dependency. Access to around-the-clock evidence-based treatment provided by Certified Mental Health Professionals in addition to Drug and Alcohol Addiction Specialists, Medical Doctors, Social Workers, Life Coaches, Marriage and Family Therapists, plus more! You can fight your addiction and reclaim the life you deserve but you will need help from trained professionals who desire to see you succeed. Contact the substance abuse professionals at Pathways Real Life and plan your path to recovery today. My brother just went through the detox program at Pathways and it has been great for him and our family. I have seen him use these centers before, but Pathways has definately been the most comprehensive when it comes to changing behavior as much as detoxing from drug abuse. As a family member of an addict, I highly recommend Pathways.